Are you aware who you should call if you happen to lose your Lincoln car keys? Replacing your lost key is far easier than you’ve probably heard. 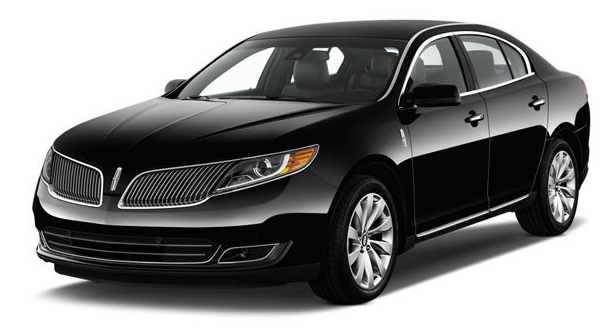 Acquire the most inexpensive deals on Lincoln car key replacement services in Phoenix by calling AZ Car Keys today. As technology in cars continues to advance, so does technology of car keys. Many of them look nothing like they did years ago, when you had two or three keys that served different functions. Since then, your keys have their own features and technologies that perform a wide variety of functions. Lincoln car keys do so much more than open your doors and start your engine! Holding your Lincoln’s key fob means holding safety and control features available in every Lincoln model. Your keys now hold safety, ease of use, and even a little peace of mind. Lincoln began adding technology to their keys about ten years ago when their partner company, Ford, also introduced them. It began simply as buttons at the head of the key to lock and unlock all doors. Then, an alarm and a button to open the trunk followed as advances were made in wireless technology. Other features and options in newer Lincolns created a need for more technology as part of the key itself. Options inside the Lincoln meant adding technology to keys in order to pair features and functions to create safety and ease of use. This has led to building and creating state of the art keys that can provide ease of use for every part of your life. The Lincoln Intelligent Access (IA) Key System works in tandem with available push button start and lets you get into your vehicle without worry or fumbling for keys if your hands are full. Using wireless technology and sensors, it allows for ease of use while building in safety features for your life. Simply leave your key fob in your pocket, bag, or purse; your Lincoln will notice and recognize it and let you inside without doing anything else. This system will also allow you to start your Lincoln without taking your keys from where you put them. Inside the keyhead of many Lincoln models is an integrated transmitter, which acts as a remote key. Available with the keyless entry system, it can be used to quickly get into your Lincoln without putting a key into a lock. 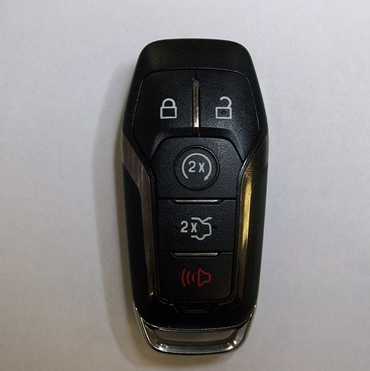 Just simply press a button or place the keyhead near the sensor and your vehicle is unlocked. This could be important when your hands are full with bags or little ones, and provides an additional level of security in certain situations. An additional feature of this system is a programmed ignition key that lets you start your car as well. For Lincoln owners with new drivers, the My Key System is a feature that allows parents to encourage safer driving. Simply set up your Lincoln car keys to be implemented while your new driver is behind the wheel to make sure that they stay safe, even when you aren’t around. You can set your Lincoln to a maximum speed limit, up to 80 miles per hour, to prevent speeding, which can be typical in a teen driver. Also, parents can set up maximum volume so your new driver can focus on the road and not their favorite song. The Lincoln My Key System has additional features you can set for your key fob for further safety and security when you can be around. When the system is active in your Lincoln, a warning chime will sound and the audio stays mute until all seat belts are buckled. Lastly, the low fuel light will come on 25 miles sooner than normal, which allows your teen to get to a station much sooner. This provides complete safety and set a standard of safety and security for the new driver, passengers, and their parents. Call AZ Car Keys Today For Lincoln Car Key Replacement! Based on which options and features you have chosen for your Lincoln, your little key fob comes with its own technology. A variety of advancements will give you safety to get into your vehicle safely and easily, start your Lincoln quickly, and even be in the car with your new driver when you’re not there. Over the years, Lincoln has created a state of the art technology that is found inside your key fob. One little key gives parents peace of mind and your teen driver the independence they are constantly craving. All of these technologies makes it one little key with big benefits and possibilities. So next time you’re in need of a replacement key for your Lincoln, call AZ Car Keys! Usually when I need a new key, I'm waiting on the dealership for at least 24 hours. Well, not this time! Called these guys and I had my replacement Lincoln key in less than 2 hours! Thanks AZ Car Keys!